Can bioinspired design save the rainforests and end global poverty? 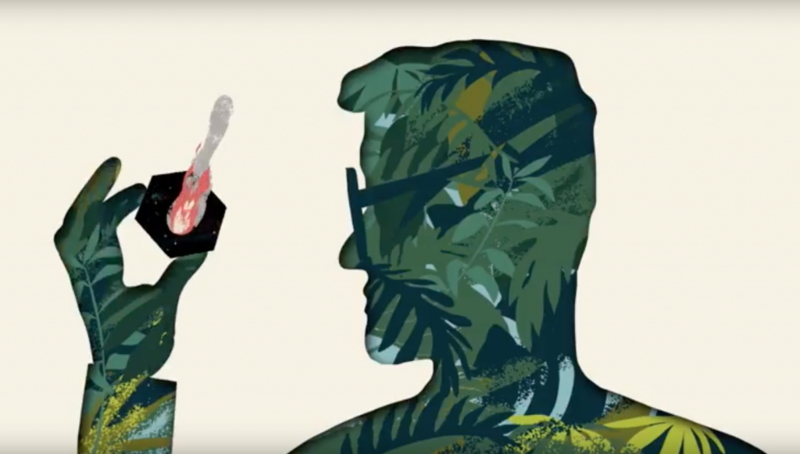 Altforest's 'Think like a rainforest' movie is part of a campaign to generate public, financial and political support to accelerate the work of British tropical ecologist and disruptive innovator Mike Hands in the world’s tropical rainforests. We are a design activist network of technologists, designers, finance specialists & policy advisors. We self-organised to generate public, financial and political support for the work of the British tropical ecologist and disruptive innovator Mike Hands in the world’s tropical rainforests. We are building a social movement to reverse rainforest deforestation by crowdsourcing an ‘Army of Davids’ from the 125 million farmers living in the rainforests central America. 2014 turned out to be the warmest year on record and it was exceeded by 2015. There are strong indications that 2016 will be even warmer. Climate change is threatening to force millions of people to become refugees and spark major wars that could “completely destabilise” the world, a leading military figure warned in the run up to COP 22 in Morocco. Tropical forest conservation and restoration could constitute half of the global warming solution, according to a recent peer reviewed commentary in Nature Climate Change. Any solution to reforestation however, would have to take into account slash-and-burn agriculture which is an increasingly significant factor as 300 million hectares of forest every year go up in smoke. OUR GOALS - The PRESERVATION, REGENERATION and LIBERATION of the rainforests and the people who live and work in them. 1) Preservation To preserve the rainforests for future generations and help stabilise the global climate 2) Regeneration To regenerate the regional economies of the humid tropics to forestall political instability and catastrophic mass migration from the Global South. 3) Liberation To liberate huge numbers of people from poverty and dangerous insecurity to live dignified, peaceful and prosperous lives in harmony with the natural world. Altforest’s #BuildtheBioshield campaign will launch in spring 2017 with a new campaign and crowdsourcing website, a specially commissioned animated ‘explainer’ movie, a press campaign & events in London. The Microfarm enabled Bioshield is a ‘natural security’ buffer – a greenbelt for the planet – designed to reverse the destruction of the rainforests and to protect all of the citizens of the earth from catastrophic climate change and the cascading social and political instability which are its after effects. The press, online and social media campaign will raise public awareness about why the Microfarm Innovation as a serious contender in the fight against climate change, mass migration and transitioning to a sustainable future. Today, farmers are burning the forests to grow survival crops to feed their families - 1 hectare each year, per family, 125 million hectares of rainforest each year - a slowly enacted tsunami. But a grass-roots revolution is already underway: Mike Hands has adopted an open innovation model to encourage early adoption of the Microfarm in the rainforests of Honduras and the Amazon. Farmers exposed to the model have reacted with great enthusiasm and adoption is spreading fast. Mike’s team are currently co-designing the next generation of Microfarms with the first cohorts of early adopter families in Honduras. The Rainforest Microfarm model was researched and developed at Cambridge University by the tropical ecologist Mike Hands. The model enables rainforest farmers to stop burning the forests and start growing high value crops. The Rainforest Microfarm is a bioinspired design solution that mimics the way that the rainforest works. It delivers an astonishing reversal of fortunes for the farmers. They transition from poverty and near starvation to being able to feed their families and earn up to $20k per hectare per year from selling crops for cash. In addition, the Microfarm model leaves the farmers with enough land left over to begin the reforesting process. The Rainforest Microfarm is 100% organic and protects land, farmers, families and crops from extreme weather events including droughts and hurricanes thereby offering stability to both domestic and regional economies. We believe that catastrophic climate change, social and political unrest and mass migration from the global south are not inevitable, but only if we act now to secure the future for generations to come.